Symphysis Pubis Dysfunction (SPD) or Pelvic Girdle Pain (PGP) as it is now called, is a condition that one in five women suffer with during pregnancy. Before I became pregnant, I had never heard of it, so when I started suffering with pain in my pubic bone at around eleven weeks, I put it down to just another one of the many symptoms of pregnancy. By sixteen weeks, the pain had started to become unbearable. My job involved me commuting for an hour by car each morning, standing on my feet for most of the day, before commuting back home again. By the time I got home, I was in too much pain to stand and cook, or to undress myself. I’d end up in bed with my husband waiting on me hand and foot, or invariably ordering a takeaway. By my twenty first week of pregnancy, I was signed off sick from work and it ended up that I was unable to return before having the baby. From the twenty first week of pregnancy onwards, the pain worsened, despite me having plenty of time to rest. I have no doubt that if I had continued working I would have ended up on crutches, or worse, in a wheelchair. For me, it felt as if somebody had kicked me in my pubic bone; I felt a constant ache which worsened if I tried to put any weight on my feet. My pelvis also clicked and made a grinding sound every time I moved, especially when rolling over in bed at night. It is also recognised that this pain can also cause emotional effects such as low moods, anxiety and depression. I remember vividly how anxious I felt about having to miss work and feeling extremely isolated being at home all day alone after being used to being in a busy work environment. My pain always intensified if I tried to bear weight on one leg. This made putting on knickers or pants extremely painful. Sitting down on the bed to put on your pants will avoid this pain. Getting out of the car also involves bearing weight on one leg. If you get out of the car by swinging both legs out, you should be able to limit some of the pain. Sitting on a plastic helps to give you the traction to swing your legs out. The same goes for getting out of bed. Get out using both legs and plant them firmly on the floor before standing. Stairs were just a no-go for me because I couldn’t bear the pressure when I was balancing on one leg. I was able to avoid them but if you can’t, take one step at a time. I could walk for about 1/4 mile before feeling an immense amount of pain. Going out for a little walk however will help with the emotional side effects such as feeling isolated. I do recommend going out for a little walk if you can manage it. Turning in the night was horrendous. My pelvis would click and the pain would shoot through my body. Sleeping with a pillow between your legs means that when you turn your pelvis stays in the same position, minimising the pain. I bought a giant pregnancy pillow to wrap around my body and legs, but it just got in the way. A normal sized pillow works just fine. I felt in pain if I sat down for too long, walked too far or stood for long periods. The biggest relief came when I did a combination of the three repeatedly throughout the day. Sit down for ten minutes and read a book, walk around your home for a few minutes, then go back to resting. Your midwife can give you one of these to help support your pelvis. It is basically a big tubigrip that you weara round your hips and bump. It can feel quite restrictive, but it does give some relief, especially if you need to walk somewhere. You can refer yourself for NHS physio. The physio will give you exercises to do at home as assess your pelvis to decide whether you need a pelvic band, crutches or a wheelchair. Exercises can help massively to reduce your pain. I won’t list any here because if some exercises are done incorrectly they can worsen your pain. I do however, recommend you visit the Pelvic Partnership‘s website, where you can find a lot more information about PGP. Things weren’t too bad for me as I didn’t have anybody else to look after apart from myself. I am sure having a baby or young child at home means the pain is likely to get worse quickly. Accept help wherever and whenever you can. Can your parents or inlaws come over to help? Can your husband do the school run? Will the parcel man bring that big box into the house? People are often willing to help in any way they can, so take advantage of it. It is difficult to get out and about and it feels incredibly isolating to be cooped up at home all the time. I started asking people to come over – my Mum, my Uncle, friends, anybody who had the time. I also started using social media to document my days. I cooked meals from scratch (using a chair so I wasn’t stood over the hob), photographed them and posted them on Instagram. I met so many kind and supportive women who really got me through some of my darkest days. Chances are that if you suffered with PGP during your first pregnancy, then you will suffer with it again during any subsequent pregnancies. Does this put me off having another baby? Absolutely not. Using the methods above helped me to manage my pain and luckily I had a sympathetic employer who supported me to take time off to rest. The good news is that PGP is treatable and you can have a normal labour. As soon as my baby was born the majority of the pain went away immediately and one of the first things I did was put on a pair of knickers standing up. It felt incredible! 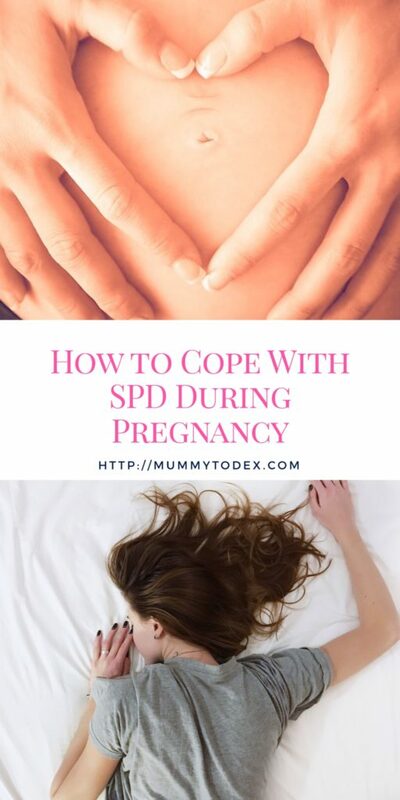 I hope this post has given you some ideas on how to cope with SPD during pregnancy. 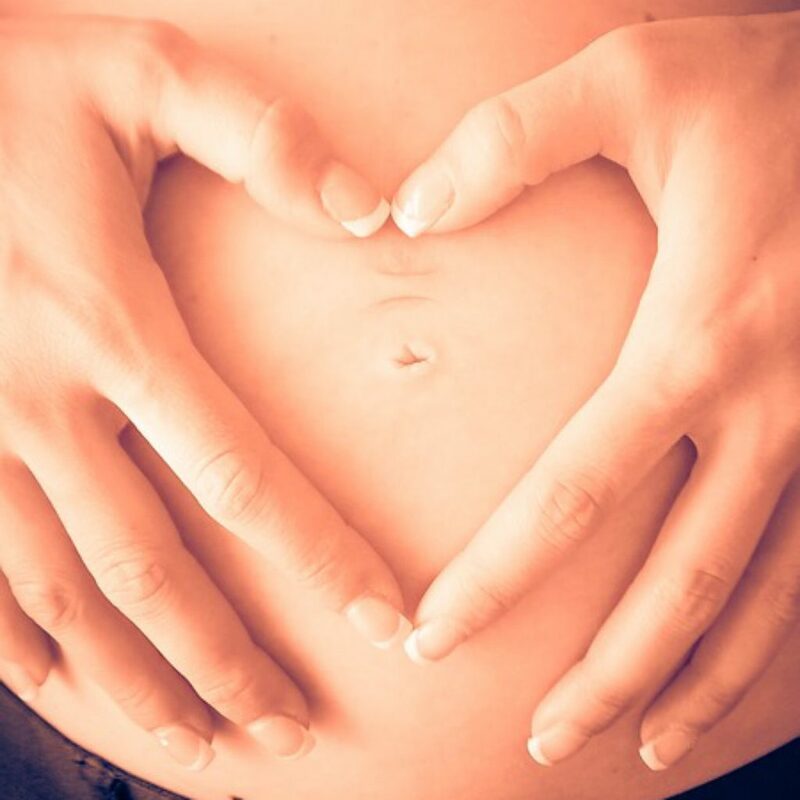 Did you suffer with SPD during your pregnancy? What did you do to help it? If you enjoyed reading this post, you will love reading Dexter’s birth story and My Post Pregnancy Body: 1 Year On. Oh I had this terribly with my first pregnancy- I was referred for physio which came through six months after the birth lol! Oh dear, that’s not very good is it. Interesting to hear you only had it with your first. There’s hope for me on my second pregnancy then. Goodness that must have been so difficult, I’m glad you managed so many strategies to help. Cooked meals when seated sounds like a great idea. I’m sure this will help lots of people. I hope it can help someone. There wasn’t a lot of stuff online when I had it so keen to spread the word. I don’t know how you (or others) coped with it, I got a small amount of pain last time and that was more than enough! Some great tips here though, especially getting in and out of the car! It was annoying it started so early, but because of that I think the pain management was easier because I had a lot of time to get used to the increasing levels as I grew as well, if that makes sense? I found that I got a physio appointment within a few weeks so really can’t complain here in Liverpool. Yes it really is so painful.